In this video I’ll show you how to condition polymer clay, with a few tips on how to make the process quick and easy. 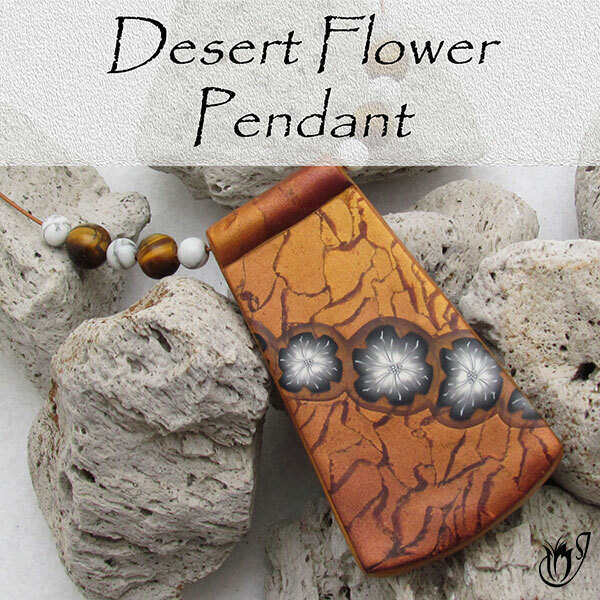 Conditioning polymer clay warms it up, gets the plasticizers moving and makes it easier to work with. It stops your clay from crumbling and cracking while you work with it. Even if your clay feels soft you should always condition it. 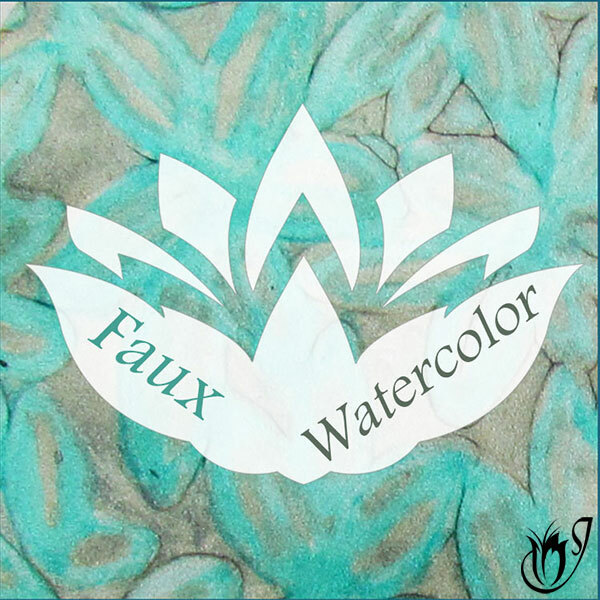 It’s an important step to making sure that you get the best results from your polymer clay. In this polymer clay tutorial I’ll show you how to condition Premo, Kato and Fimo Professional. These brands are completely different from one another, and each requires a different conditioning process. For instance, Kato will need a good wack with a mallet before it even goes near your pasta machine, while Premo can be conditioned by hand. A pasta machine or acrylic roller. A mallet or hammer or other heavy object. 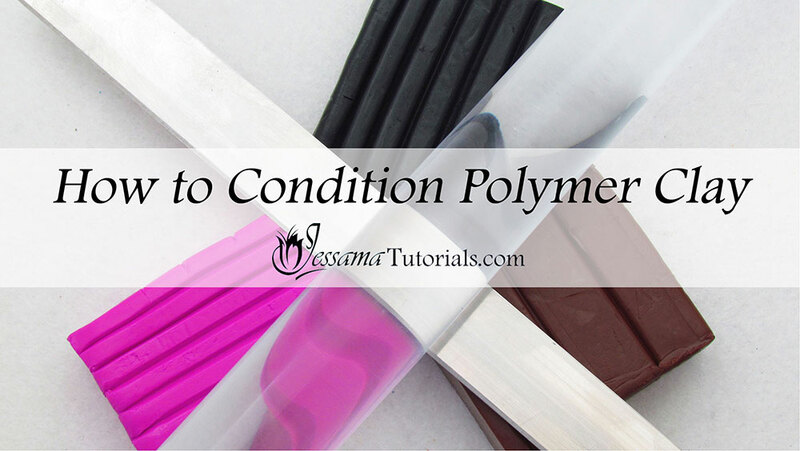 The process involved in conditioning polymer clay differs slightly depending on the brand, so in this tutorial I will be showing you how to condition Kato, Premo and Fimo Professional polymer clay. I like to pre-condition the firmer brands (Kato and Fimo Professional) to prevent crumbling and flaking in my pasta machine. If after bashing your clay a few times it is still hard and unyielding, it is probably a bit old. 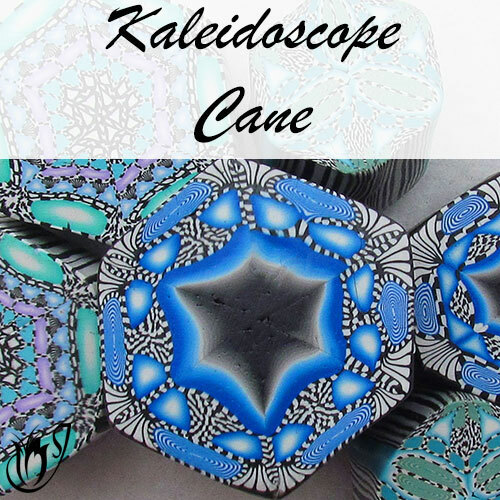 See my article: How To Soften Polymer Clay for a few tips to soften it up. Then come back to the conditioning process. Conditioning can be achieved by using either an acrylic roller or a pasta machine. Both processes are essentially the same. If you are using a pasta machine, be sure to roll your clay to no more than half a centimeter or quarter of an inch thick using your roller first. Forcing thick pieces through your pasta machine almost always results in crumbling and can damage your machine. Take your clay and roll to flatten it, or pass it through the thickest setting on your pasta machine. Fold the clay in half. Roll or pass through again. Make sure if you are using a roller to place the fold of the clay nearest to yourself and to roll away from your body. If you are using a machine, the fold of the clay faces down towards the rollers. Rolling this way ensures that any air bubbles trapped in the clay are forced out as you condition. Repeat this process 20-30 times until the clay warms up. 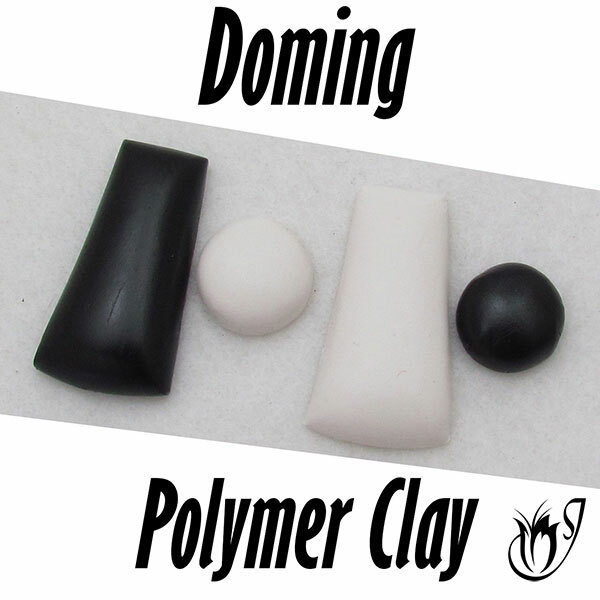 Well-conditioned polymer clay should be soft and pliable and should not crack when you fold it. If you find that your clay is crumbling and flaking even after pre-conditioning, it is probably old. See my article: How To Soften Polymer Clay for a few tips to soften it up.